Students meeting with a client at Rancho Vista. Left to Right: Marina Garza, Arthur Rodrigues, Joyce Men and Matthew Badders. general counsel services for nonprofit boards of directors. The Clinic also offers a policy tract in which students work with community groups to develop local and statewide policy solutions to community development issues. Margarita’s Tortilla Factory is an Austin-area small business making fresh tamales and tortillas from all-natural ingredients. Clinic students gained valuable experience working with Margarita’s to create an LLC, prepare an employee handbook, and counsel on co-manufacturing and distribution agreements with third parties. 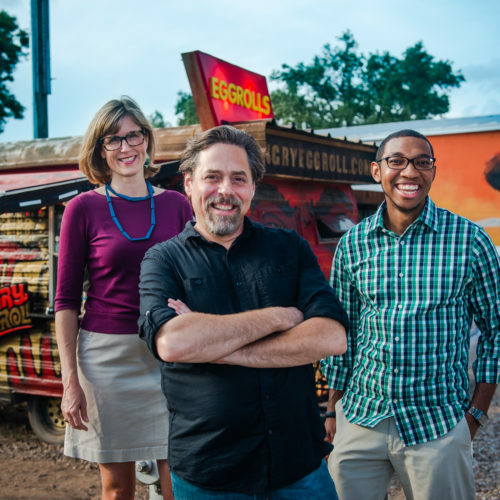 Food trucks are a staple in Austin’s culinary scene and clinic students have been able to assist by helping small businesses such as Angry Egg Roll and Mellizoz Tacos with their legal needs, including trademarks, entity formation, contracts, and employment law. The Hispanic Alliance for the Performing Arts (HAPA) works to increase access to and support for music education for Hispanic, low-income, and underserved children in our community. Clinic students helped HAPA with qualifying for nonprofit status and developing its board policy and handbook. 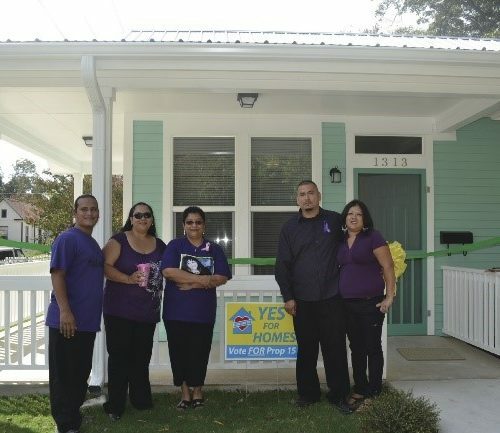 Guadalupe Neighborhood Development Corporation (GNDC) is an Austin-based nonprofit working to develop and preserve affordable housing in East Austin. Clinic students have worked with GNDC to review lending document and prepare real estate contracts among other projects. The Clinic also assisted GNDC in developing the first community land trust program in the state of Texas. Clinic students represented members of the Rancho Vista Community, a low-income neighborhood located thirty minutes outside of Austin, to help remove barriers keeping mobile home owners from qualifying for homestead exemptions. Students drafted legislation and testified before a Texas Senate committee on these barriers, which resulted in a new law that provides tax relief to thousands of mobile home owners across the state. Clinic students have developed policy recommendations to improve living conditions for Austin’s low-income residents, including toolkits on problem properties, substandard housing, and repeat offender rental properties.